This funky version of Happy Birthday was dedicated to Jennifer Spencer. The Bowie intro included a brief Fly Like an Eagle jam, and Bowie's jam contained Fishin' Hole and DEG teases. YEM included a Jean Pierre tease from Trey. First of all, the sound quality of the tape is sublime. Seriously...one of the best tapes from 1989. 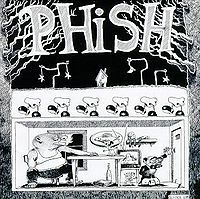 Sadly, the quality of the audio has one major detractor that many other lesser-sounding shows do not have: It fails to mask the slopfest that plagues the occasional 1989 Phish show. The Ya Mar is okay, but it all mostly unravels after that. The Mike's Groove in particular is a complete mess and the Suzy is loose and sloppy. Fee contains numerous vocal flubs, and segues awkwardly into an almost-jazzy La Grange, which is interesting and is actually worth a listen. The show closes on a standard run of songs, and despite an egregious cut and some nice bass notes from Mike right before LTJP, there's not a whole lot else to say about this show. Maybe it's a result of listening to all these 1989 shows in a row, but I'm definitely ready for the band to move into new territory in 1990. I know it's all historical context, but there's a reason the 'early days' shows aren't all in heavy rotation. It's because they're not all that great. There are some gems, but this is not one of them. Going with 2 stars here. 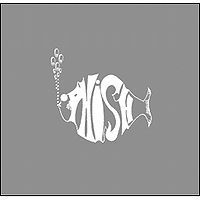 I agree with the first review about the lackluster 1st set, which is all that's on phishtracks and phish.in. However, I DO recommend downloading this show from The Spreadsheet to listen to the second set. Dinner and a Movie > Bundle of Joy > Possum is a bizarre and fun unusual trio of songs, and the Possum is played with some extra zest. Happy Birthday is played in a funky style., ending abruptly in the middle of the second go-around. Lizards is played very well, as is an extra bouncy Bag, where the band gets quiet at the start of the jam and then builds it back up. And then in walks David Bowie, guns ablazing. This is a very, very good Bowie. It starts off with a brief, impromptu full-band surprisingly competent mess-around with Fly Like An Eagle during Fish's high hat intro, but the jam is where it's at. Several times throughout it, one of the JEMP will play a little riff, and then the rest of the band joins in for no more than four measures, before they all quickly leave it behind as they move through a sea of wild lifeforms, only to find another little riff they all pick up on, and then continue exploring. Trey even throws in a Fishin' Hole and DEG tease as if it was part of the song. Most excellent, although be warned, it cuts just before the final notes. 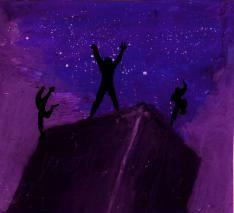 You can hear some funny on-stage banter if you turn up the volume at the start of Contact. Trey seems to say "Contact then Highway then [let's get the f***?] outta here," to which Page laughs. The crowd brings Phish back out with chants of "We want more! ", and You Enjoy Myself is played as an encore for the first known time. After Page, Trey, and Mike all play great solos, the vocal jam is an all-timer that must have sent everyone home smiling, as the band sings the poignant vocal jam lyrics: "Put 'em in the pound when the chicken come to town." Let it be known: Put 'em in the pound when the chicken come to town.